The safety and security of our employees, business partners, community, and assets is our top priority. Our employees are highly trained and ready to respond. ALL employees have the right to shut down operations at any time if they feel there is a safety violation. We are committed to maintaining the safety and security of our pipeline system. Our goal is to identify and resolve potential problems before they happen. We apply rigorous integrity maintenance standards and upkeep to all of our gathering systems and saltwater disposal facilities. Our safety inspection tools and advanced data monitoring system help to verify the effectiveness of our ongoing maintenance activities. Our employees are regularly trained, tested, and ready to quickly respond to any incident. Part of our commitment to safety means ensuring our customers and landowners have the knowledge and tools to keep themselves safe. 1 - Notify One Call by calling 811 or by making an online request 2-3 days before work begins. 2 - Wait 2-3 days for response. 3 - Confirm you have received notice from all utilities. 4 - Respect the markers. 5 - Dig carefully and properly. Pipeline markers, like the ones pictured above, indicate the locations of most major pipelines. 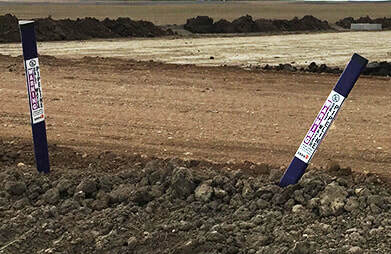 Since most pipelines are buried underground, pipeline markers are intended to let you know the approximate location of major pipelines and include our emergency number. However, pipeline markers do not include the depth or number of pipelines in the area. 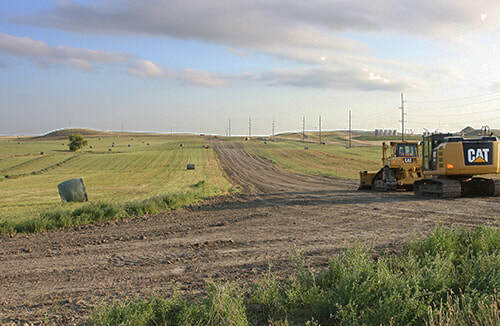 A new line of freshly-laid dirt often indicates that a pipeline was recently installed in the area. Although not a conclusive indication that there is a pipeline underground, this should be used as a warning sign before digging.